Over-the-ground flooding can cause tremendous damage and presents unique problems to property owners as they remediate and restore their property. Restoration businesses are faced with a literal “flood” of calls since these events often cover very large areas and can impact thousands of homes and businesses. If you live in a recognized flood plain, the Federal Emergency Management Agency (FEMA) states that your home has better than a 25% chance of being damaged by a flood during the course of a 30-year mortgage, compared to a 9% chance of damage from fire. And, of course, many floods occur outside of “flood plains” and they can happen in all 50 states. Thunderstorms, hurricanes, and even slow-moving tropical depressions can bring extensive flooding – sometimes hundreds of miles from any coastal area. In many instances, the extent of the damage is simply beyond the ability of most property owners and they recognize the need to call on professionals. Our professional restoration business has the equipment and supplies, and the trained and certified staff to properly deal with damage resulting from an over-the-ground flood. The first step is to remove all contaminated materials from the structure. This includes water extraction as well as removing mud, sludge, etc., and any contents and structural materials that cannot be properly restored. The next step for a professional is to be sure to use professional-strength products and an EPA-approved disinfectant to clean and sanitize all remaining materials: structure, fixtures and any salvageable contents. Our professionals will also be certain to examine and properly treat all “hidden” spaces and areas, such as: behind bath/shower inserts; under remaining cabinets, crawl spaces, etc. All of this can be done even if there is no power at the structure. The final step in the remediation process is to professionally and thoroughly dry the structure. In a home, this normally means that the power needs to be restored. In commercial property (and sometimes with homes), large generators will be brought to the site to provide the necessary power. 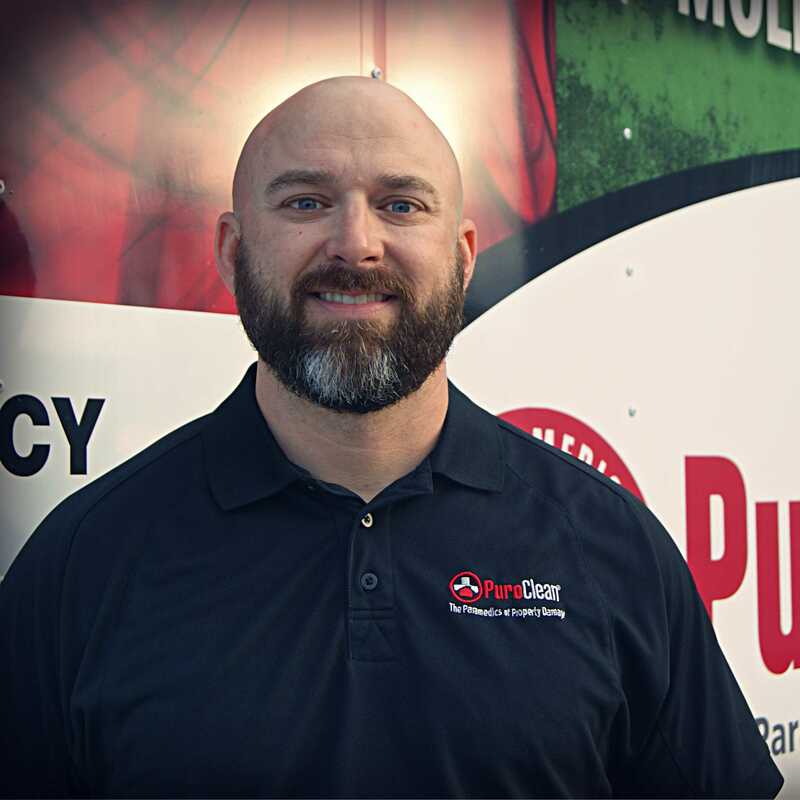 Our professional restoration business has state-of-the-science dehumidifiers (Low Grain Refrigerant, or Desiccant, depending on the situation) and High Capacity Air Movers. Our professionals know how to calculate how much equipment is necessary to accomplish needed drying effectively and efficiently. In all water damage situations, cleaning and drying are accomplished as quickly as possible to help prevent the development of mold and other fungi in the structure. This is especially true with over-the-ground flooding, because the additional contamination that is brought into the structure is usually additional food sources for fungi. In addition to the drying equipment, our professionals will also install one or more Air Scrubbers. This equipment contains a HEPA filter to remove all particulates in the air that are 3/10 of a micron (approximately 3/25,000 inches) or larger. 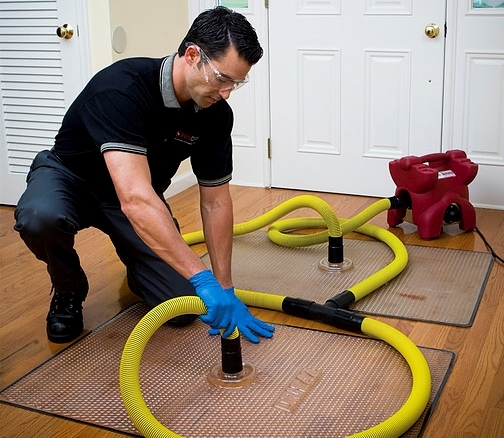 Installing an Air Scrubber is a prudent step to help maintain the health and well-being of our employees, as well as owners and other persons, who may be inside the structure. Our restoration professionals will accomplish all of the above as quickly as possible, and with genuine consideration for the owners of the property throughout the process. After the removal, decontamination and drying have been completed, the home or other structure is now ready for any structural repairs that need to be made, and for new furnishing to be put into place. Regardless of the circumstances – dealing with floods or other water damage, fire/smoke damage, mold, or biohazard remediation – call PuroClean Certified Restoration, the Paramedics of Property Damage™. For all property damage situations, our professionals are standing by. We will mitigate the loss to prevent further damage and will then provide restoration services to return the property to a pre-loss condition as quickly as possible. Our office has well-trained professional technicians who provide the latest state-of-the-science services to all property damaged from water, fire, smoke, mold, and other disasters.